Spinal cord compression, sciatica, and scoliosis are painful and debilitating conditions that affect millions of Americans. Fortunately, the residents of the South Miami area who are so afflicted can find help from Miami Back and Neck Specialists. Located in South Florida, Miami Back and Neck Specialists offer world-class leadership in the treatment of spine-related problems. 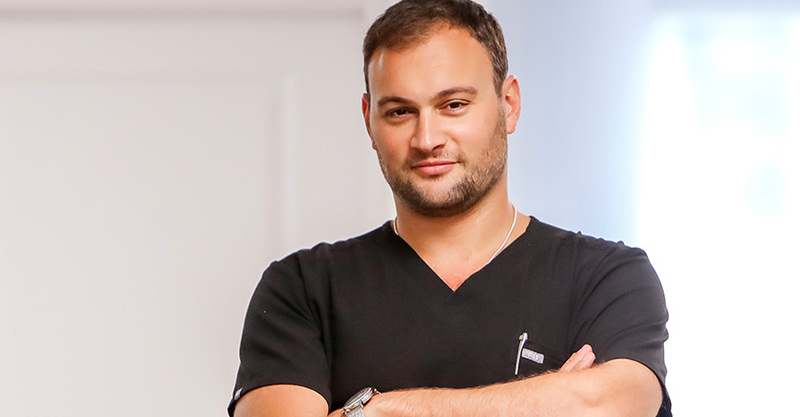 Minimally invasive spine surgeon Georgiy Brusovanik and his team of doctors and health specialists have expertise in the treatment of neck and back ailments and provide urgent spine care. Serving the South Miami area, our patients can expect a thorough diagnosis and an effective treatment plan that will relieve you of the pain that is associated with back and neck problems. Miami Back and Neck Specialists are focused specifically on assisting patients with spinal problems and related symptoms. Scoliosis is a curvature of the spine that most often develops during the formative years. Sciatica can lead to discomfort in the legs and, often, to tingling, numbness and a general weakness in other areas of the body. Spinal cord compressions can result from a number of factors, including tumors or disk ruptures. Our minimally invasive spine surgeon and his team will use the most advanced techniques to relieve these problems, often without extensive surgery. These proven techniques are based on the latest scientific principles. Those with neck and back problems should consider meeting with our specialists for an examination and consultation. We will work with you to diagnose your specific condition and determine the best course of action. We will first employ techniques that are not invasive, turning to those that are minimally invasive if necessary. Dr. Brusovanik specializes in procedures that are considered minimally invasive. Patients in need of surgery will be provided with the relevant information and given a date for the procedure. The advanced surgical techniques used by Dr. Brusovanik are designed to reduce both pain and the time needed for full recovery. We offer the promise of restoring your quality of life. Dr. Brusovanik heads the practice at Miami Back and Neck Specialists. A graduate of Duke University, where he received training in neurosurgical and orthopedic spine surgery, this skilled physician is dedicated to treating neck and back ailments. He has treated entertainers, politicians, professional athletes and business executives from both the local and the international scene, changing their lives for the better. He and his team offer the best options when it comes to dealing with spinal problems. Residents of the South Miami area with such problems are invited to pay us a visit.